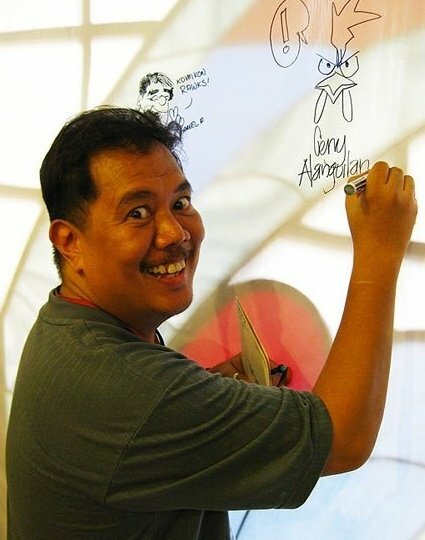 Gerry Alanguilan is probably best known for his work inking comics including Superman: Birthright, Batman/Danger Girl, Wolverine, New X-Men Annual, High Roads, Silent Dragon, Wetworks, Grifter, X-Force, Fantastic Four Annual, and Tales of Darkness. In addition, he’s also done the full art chores on Bram Stoker’s The Judge’s House, Edgar Allan Poe’s The Black Cat, and Rafael Sabatini’s Plague of Ghosts for Graphic Classics. As he explains below, there is a special thrill in solo works. Gerry has written and drawn a number of comics including Humanis Rex!, Wasted, and the recently released ELMER. 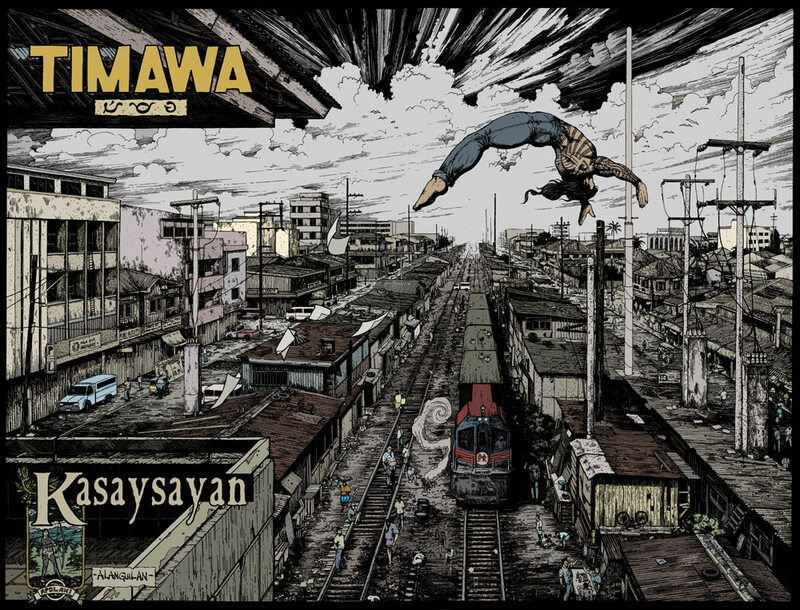 He’s currently writing, drawing, and coloring TIMAWA for the Phillipines-based magazine Buzz Magasin. This was around 1991 when I first met Whilce Portacio and I learned that he was a Filipino. Up until then drawing comics in the U.S. was nothing more than a dream. Seeing a Filipino actually do it, and on high profile titles like X-Factor and X-Men no less, inspired me to take a life long hobby and turn it into career. I guess it was pretty much everyone who said that I couldn’t do it. Back when I was starting out, for someone like me to dream to work in U.S. comics was laughable, even impossible for some. Until I met Whilce, I had the same idea. Of course, I know now of the great Filipino invasion of US comics back in the 1970s, but most of them only managed to penetrate the war, horror, and sci-fi fantasy genres in comics. Dreaming of working on something like the X-Men was out of this world. And a lot of people thought I was just wasting my time. And I wanted to prove everyone wrong. 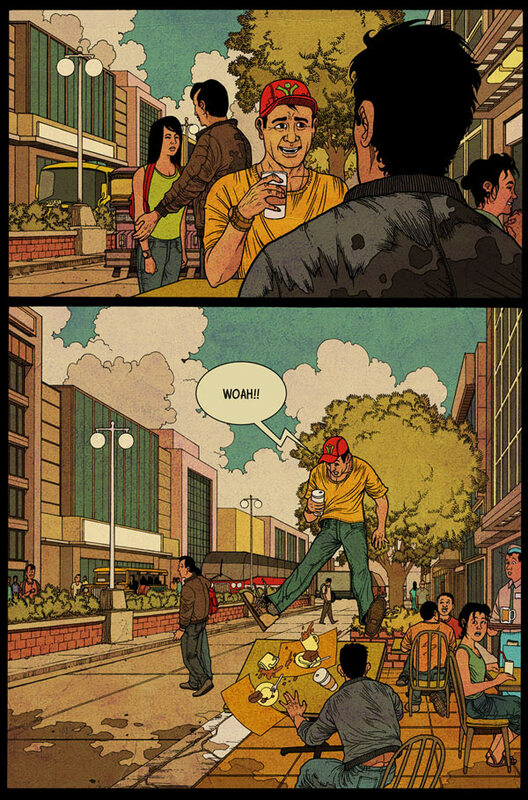 Of course, a lot of Philippines-based artists are working on a variety of U.S. comics today, so much so that it seems like the most typical, most normal thing. But back then it was quite different. There are many, but if I were to choose just one, it would be Barry Windsor-Smith. His work has impressed me all throughout my entire life. I encountered his work on a book called Masters of Comic Book Art when I was very young, and I was immediately thunderstruck. Seeing his incredibly beautiful artwork truly woke up my creative self, inspiring me to draw and create my own things. I would probably just look at my Opus books by Barry Windsor-Smith and I’ll be all right. But of course, I can get it from a lot of other places. Watching great movies like Lord of the Rings, listening to great music, watching other artists’ work, and pretty much anything else that can inspire me, which boils down to beauty. Anything that’s stunningly beautiful, no matter what form it may take, is enough to recharge me. Having taken root at YouTube doing all sorts of videos as a hobby, I eventually came up with a video demonstrating my typical day. I use Open Office and the computer to write down my stories. For drawing I’m a traditional pen and paper guy using a variety of Mongol pencils, Rotring tech pens, UNI and Staedtler drawing pens, and brushes to put drawing to paper. I color on the computer with Photoshop, lettering it with a font I created from my own lettering. I love the work, but as every comic book creator would know, it’s difficult work. I do get great satisfaction in that, but I take greater satisfaction in knowing that my characters and my stories are brought to life in the minds of the readers. It’s always a thrill whenever I talk with people or receive feedback in the mail where they tell me that my stories had come to mean something to them. To me that’s just awesome. Working on Superman: Birthright was very rewarding to me creatively and financially. It’s probably my most favorite inking job, and of course, the chance to work on Superman was quite an honor. And to work on Superman with a couple of the best people in the business, Mark Waid and Leinil Francis Yu, it becomes even more special. Working on ELMER, my self-published comic book, is much more rewarding for different reasons. It’s where I get to do everything from writing, to drawing, to publishing, to distributing, and even marketing. It’s all down to me. It’s creative heaven, as far as I’m concerned. Not only has it been rather profitable for me, but it also has gotten a lot of really good reviews, even one from Neil Gaiman. I’ve only just finished ELMER, so it’s too early to say what the ultimate impact of it will be to me, but so far it’s been great. The best advice I ever heard was from Alan Moore who said comics is a career that you enter because you love it. You love the medium and worrying about things like money only clouds what’s truly important. As long as you love comics and you go into it with that keeping you going, it’s going to take care of you in the end. One of the most important things I learned is to focus. Focus on what I really want, what my goals are, and stick to it. It has guided me through every decision I ever made in my life. Once I decided to become a comics artist, then everything I ever did was to help that happen. And I refused everything that had nothing to do with it. It’s very easy to lose focus, especially when money and other temptations are involved. But I always keep my goal at the forefront of everything and it all works out.